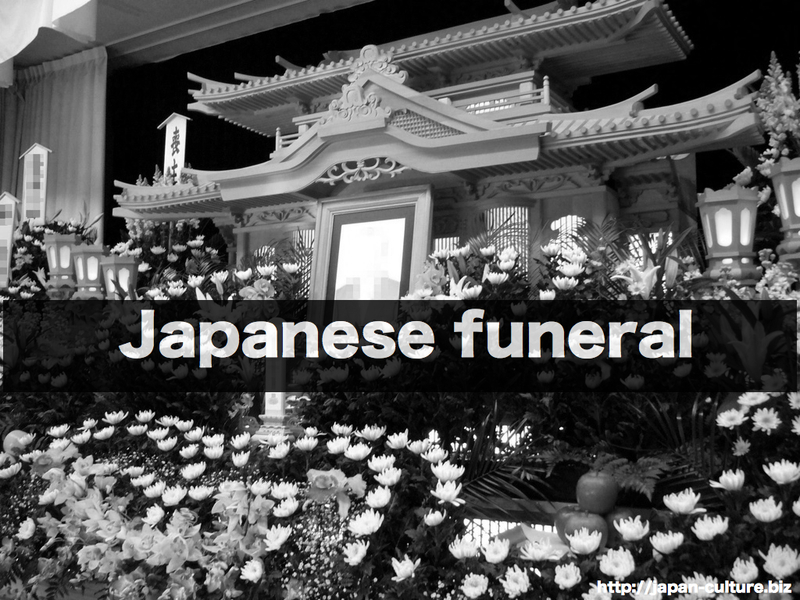 Today, many funerals are conducted in the Buddhist style in Japan. As the word “funeral Buddhism” indicates, funerals are almost the only occasion we really care about religion. However in recent years, more funerals are conducted with no religious elements. Upon someone’s death, two events are held to send the spirit to heaven; a wake and a funeral. The wake is conducted the night before the funeral, usually from 6 p.m. to 9 p.m. The funeral is usually conducted during the daytime. When attending funerals, all clothes, including shoes, bags and hair accessories, should be black (except men’s shirts, which should white). Shiny or decorative items must not carried. When attending wakes, dark gray and/or blue clothes are acceptable. Koden is a monetary gift. It should be presented at the reception when attending wakes or funerals. The amount of money is set in accordance with the person’s relationship and closeness to the deceased. At wakes, there are separate rooms where food and sake are served. If asked to join in, you should spend a certain amount of time in this room. However, this is not compulsory. When leaving wakes or funerals, a small pack of salt is handed out. Attendees open the packs of salt before entering their homes and sprinkle it gently over their bodies. It is also acceptable to ask family members to do this on the attendee’s behalf. The sprinkling of the salt is an act of purification.